My 6-year-old is fickle. For weeks, he had zero interest in Valentine’s Day. Then, with one school day to go, he decided he wanted to be the classroom Prince Charming. Now I know what you’re thinking. I’ve been training for this moment. But I’m no hero. I froze. Fortunately, my crafty wife sprung into action. 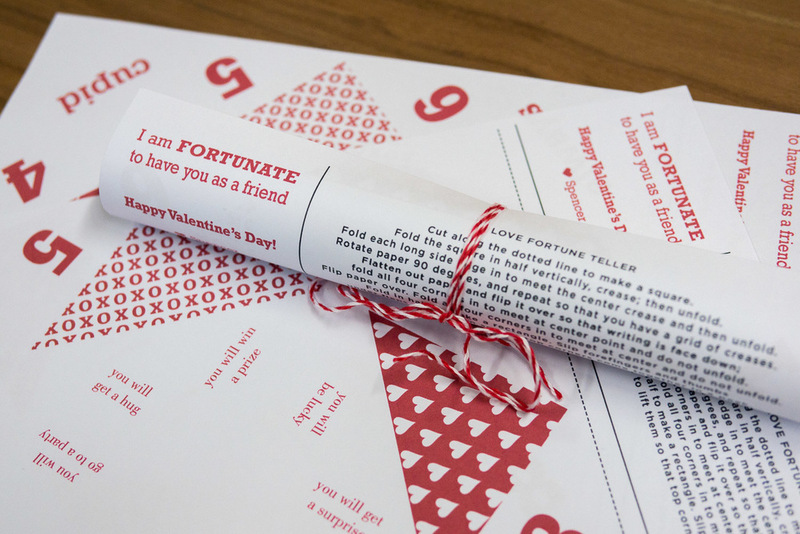 She tracked down a very cool and very free printable Valentine’s Day “cootie catcher” template from Design Corral. After some customizing, printing, rolling, and baker’s twining, we had something unique and serviceable on our hands. And instead of one more mass produced card on the pile, our charmer is set up for hours of romantic classroom disruption. 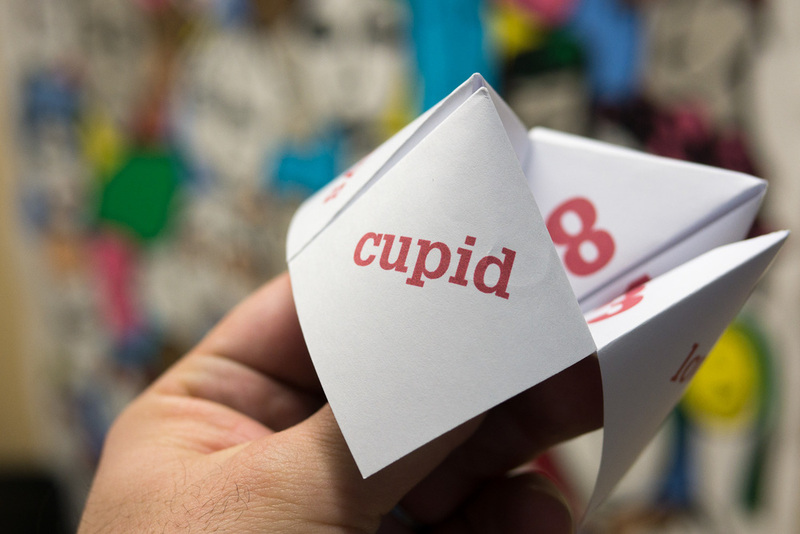 In addition to cootie catcher, Design Corral has a handful of other printables to cover your last minute Valentine’s Day emergencies.